Alumicolor's® Drafting Sets combine key products in one easy-to-purchase, cost-effective package. All products are made from solid aluminum and calibrations are photo anodized. The anodizing process makes all markings a permanent part of the aluminum giving each product a smooth, tick-free finish that resists wear. A "must have" for students or professionals! Also available in Engineer sets! 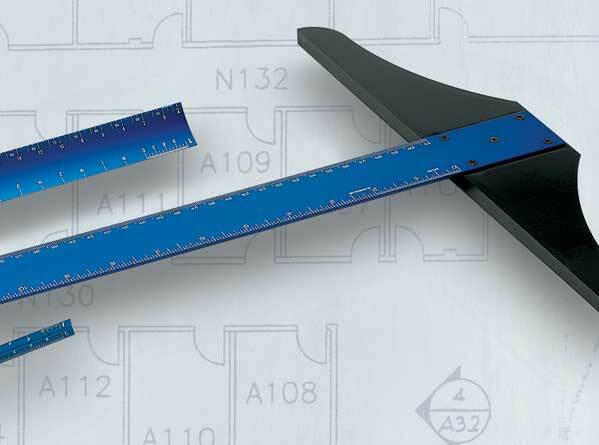 24" Standard T-Square - 1-1/2" tempered aluminum shaft with black ABS plastic head secured with 5 screws instead of rivets. 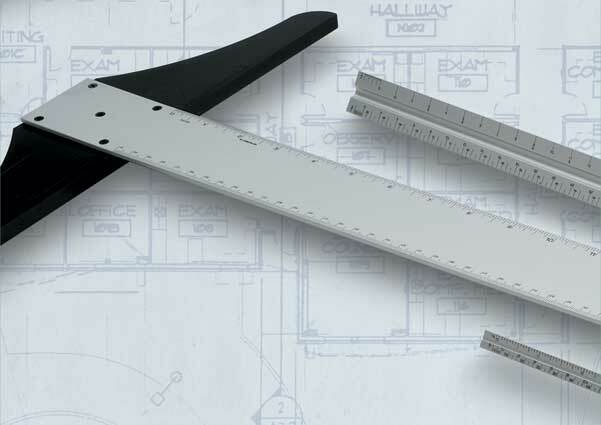 12" Hollow Drafting Scale - lightweight for easy portability. 6" Pocket Drafting Scale - pen-size scale that can be taken anywhere. 24" Standard T-Square - Choose from 7 different colors! 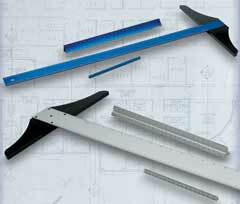 12" Hollow Drafting Scale - Choose from 7 different colors! 6" Pocket Drafting Scale - Choose from 7 different colors! 24" Professional T-Square - 2" wide extruded aluminum blade, channeled back, black ABS plastic head secured with 5 screws instead of rivets. 12" Solid Drafting Scale - executive weight and feel. 3700 Custom Standard Architect Set $29.95 Assorted - You Choose! 3720 Custom Standard Engineer Set $29.95 Assorted - You Choose! Packaging: Plastic clam shell with hang tabs.